Holy Cow! OC Transpo! Get your act in gear! I waited for more than 6 min at Hurdman in pouring rain for a bus to Tunney’s! Fridays are ALWAYS like this! I am THAT close to getting a parking pass! Heavy duty OCDSB budget surplus. Some want to hire more teachers. Others want to invest it in capital projects. Here’s the thing- once the surplus is depleted, how will the Board afford to pay those new teachers ? Seems to be contributing to a chronic problem rather than solving it. Yeah, it would be nice to have more staff, but given that it should be the PROVINCE who picks up the tab for teacher salaries, the Board should take the opportunity to invest in the infrastructure that Queens Park seems loathe to do. But hey. What do I know? Speaking of schools, my thoughts go out to that young man who died in that tragic accident yesterday. Too young. Hey! If you live in my neck of the woods, or not, and have some ideas about public parks and what they should look like, let me know! I am sitting on a committee that Councillor Peter Hume has set up to look at what can be done with Canterbury Park -> updating-wise. Part of this, I am sure, will include consultations with the wider user community. So consider this a personal call for advice! I have done some initial research and there are some amazing things that can be done with public space to make it more attractive, accessible and fun. Check these folks out, for example. Heard about this yesterday…Tim Hudak wants to introduce chain gangs as a way to make prisoners “earn their keep”. Dammit. “I thought Tim Hudak was running for the premier of Ontario, not the governor of Alabama,” said Warren (Smokey) Thomas, president of the Ontario Public Service Employees Union. 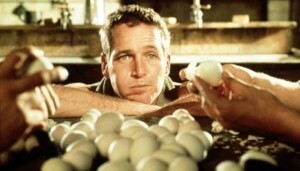 C’mon “Cool Hand Luke” was a good flick about 40 years ago, but is a bit dated now! And holy crap! Do we really want convicted felons anywhere near our families? Seriously? THAT is not what I had in mind when I penned the little bit above about park rehabilitation! I don’t want them anywhere NEAR our parks. Give your head a shake, Hudak. Saying crap like this fits right into the Con tendency to preach into the “bumper sticker politics” mode, but this just doesn’t make any sense at all! Hmmm… I just realised something. Many of the politicians who I despise the most have surnames that start with the latter “H”! A tornado: Ten. Kilometres. Long. One. Kilometre. Wide. This thing tore up asphalt. Heard that Bob Rae is the new Interim Liberal Leader. Not a bad choice, but I didn’t like the lack of transparency around this decision. C’mon Grits.. start getting your act in gear and enough of this petty infighting! Predictably, the Cons – still and always in election mode – launched personal attacks. 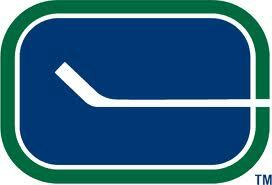 Helluva tough thing for a lifetime member of Leaf Nation to throw support behind someone else, even temporarily…. buuuttt.. Finally, I want to wish my littlest bro’ a happy 38th birthday!!!! Hey Rob! You’re getting to be as old as dirt! Just like me!